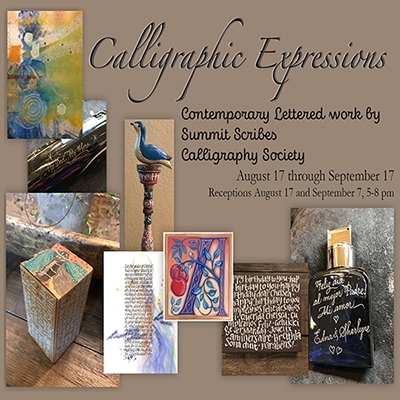 Description “Calligraphic Expressions”, a show of current work by members of Summit Scribes Calligraphy Guild, will be exhibited at Commonwheel Artists Co-op from August 17 to September 17. The opening night reception is August 17, 5:30 - 8:30 and the show is included in First Friday Art Walks on September 7. Add Calligraphic Expressions to your free online travel itinerary.